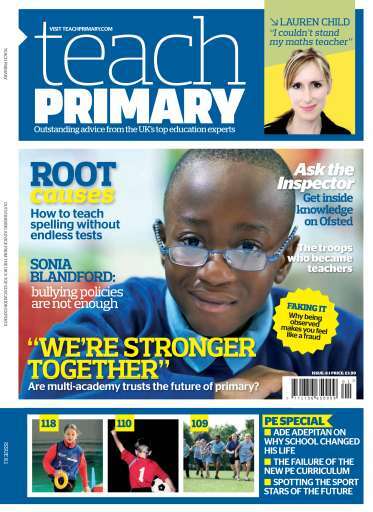 How to teach spelling without endless tests; get inside knowledge on Ofsted; and the troops who became teachers. As ever, we tackle the key issues facing today’s teachers – what is the future for school governors? Why do lesson observations make you feel like a fraud? And are multi-academy trusts the future for primary schools? 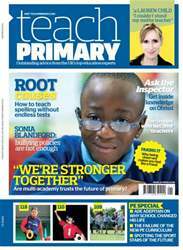 There are lesson activities galore, including a great piece by headteacher Ollie Bray on investigating Wikipedia, and this issue’s PE special gets to grips with the new curriculum. Is it a hop forward or a skip and a jump back?